A real “Village Center”– with more mixed use, housing and transportation choices surrounding a civic center – and a “Healthcare Village” –with accessible and comprehensive health care facilities — are included in the recommendations of the newly completed Community Plan Initiative Final Report provided by Seth Harry & Associates, Inc. and Spikowski Planning Associates. Estero residents, property owners and stakeholders all contributed to the planning process which resulted in recommendations for compact, walkable, higher density neighborhoods in a downtown, mixed use Village Center and a separate Healthcare Village, both offering convenient access to services, and local shopping. convenient access to services. Final Market research shows that Baby Boomers, Millennials, the elderly and the young, will be looking for more walkable communities, which require less maintenance, and convenient access to shared amenities. The new Estero Village Council will need to adopt detailed comprehensive plan amendments early on in their administration in order to manage the community’s accelerating growth and sustain Estero’s market competitiveness into the future, according to the study. This would include setting new policies and overlay maps to clearly identify these areas. The suggested Village Center is the vacant land immediately west of the Estero Community Park. Currently there are 270 acres of vacant property in the US41/Williams/Via Coconut/Corkscrew Road area. . It is being proposed as an ideal candidate for a compact, walkable, mixed-use, transit supportive neighborhood which would include residential, commercial and civic uses. It would be more pedestrian friendly, and transit supportive, a combination which is preferred by many of today’s consumers. An area south of Coconut Point Mall, near the Bonita Community Health Center, is the designated area for a future Healthcare Village. Lee Memorial is now in the detailed planning phase for a 172,000 square foot, $140 million healthcare campus designed to become a “destination with distinction” by offering patient-centric, integrated and coordinated care delivery enabled by the latest technology. The development will include a 24/7 freestanding Emergency Department as well as providing wellness and prevention services and acute care. This 30 acre development will anchor the larger Healthcare Village. The Estero Council of Community Leaders (ECCL) hired these consultants to help plan the future development of about 1,000 acres of vacant land along US41 and Corkscrew Road. This study is being shared with the Estero Village Council Candidates, the underlying landowners, interested developers and the members of the Estero Community Planning Panel (ECPP) and the Estero Design Review Committee (EDRC). 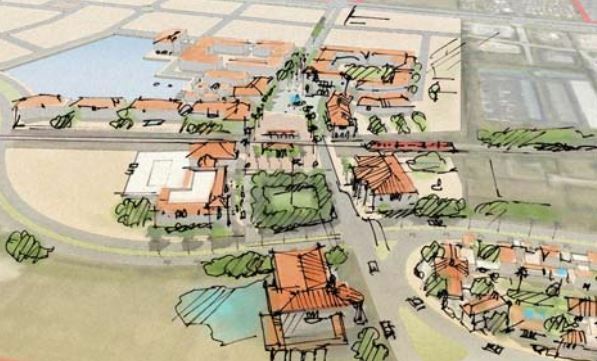 The new village center plan looks hreat and in line with the looks of Estero. You know you are in Estero with the the tupes of designs brought forth all these tears by the ECCL. A being selective of what is built in Estero. However, i now see too many gas stations n convenience stire of all tyoes being constructed or renovated and it now is looking like both towns on either sude of us with gas syations every couole blicks. Why are we appriving all these gas stations?? Not a good thing in my opinion. What has been decided about Estero Pky and Three Oaks, last time I asked noting was definit. Jean, we hope you will attend the upcoming ECCL meeting on June 15th at 10am at the Community Center where these questions and others will be asked of our area transportation leaders. Signup to receive updates about Estero and the ECCL! Estero Council of Community Leaders - All Rights Reserved 2017.